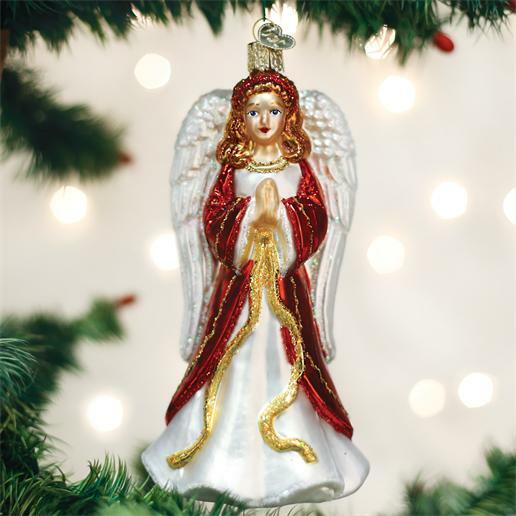 Home > Old World Christmas - Traditional Glass Christmas Ornaments > Old World Christmas Glass Ornament - "Divinity"
Angels are divine beings and are thought to be our link to God and heaven. Symbolizing purity, peace, and love, angels are a comforting presence. Glassblowers often created angel ornaments with the sweet, cherubic faces of their own daughters, depicting their vision of a beautiful angel.